How can I add Custom Sub-folders to Dropbox integration? 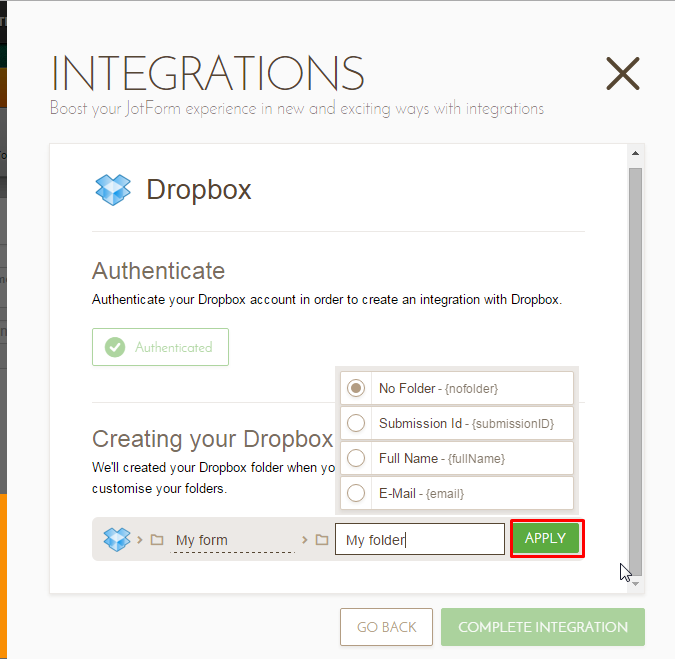 This change has broken my existing integrations and depositing results into sub-folders appears to now be impossible. The ability to drop results into sub folder within dropbox is, for me, a critical feature and without that feature i'll be forced to use another service. While I'm aware of the sub-folder function in the the new dropbox integration, it unfortunately doesn't work. Following the steps you've laid out does not address the problem and there are still three unresolved issues. Firstly, the new integration style makes it impossible to edit integration created prior to the change, this is a critical issue. Secondly, user named sub-folder integration simply does not work. 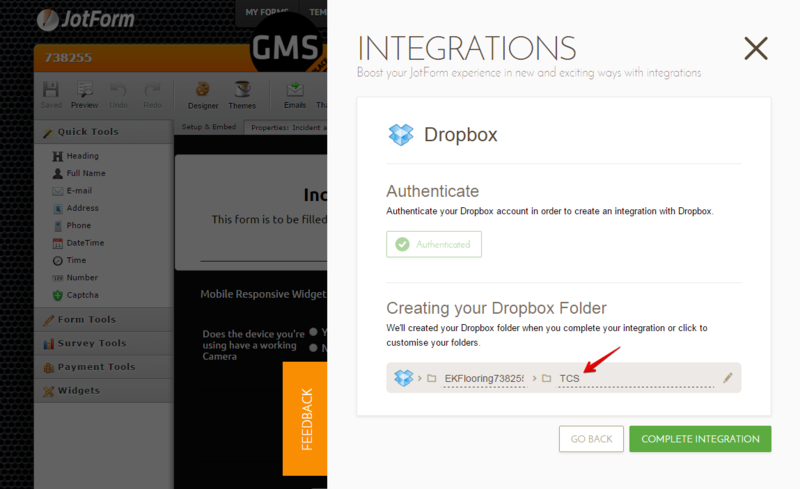 If I attempt to name a folder, the forms will not deposit into the associated dropbox account at all. 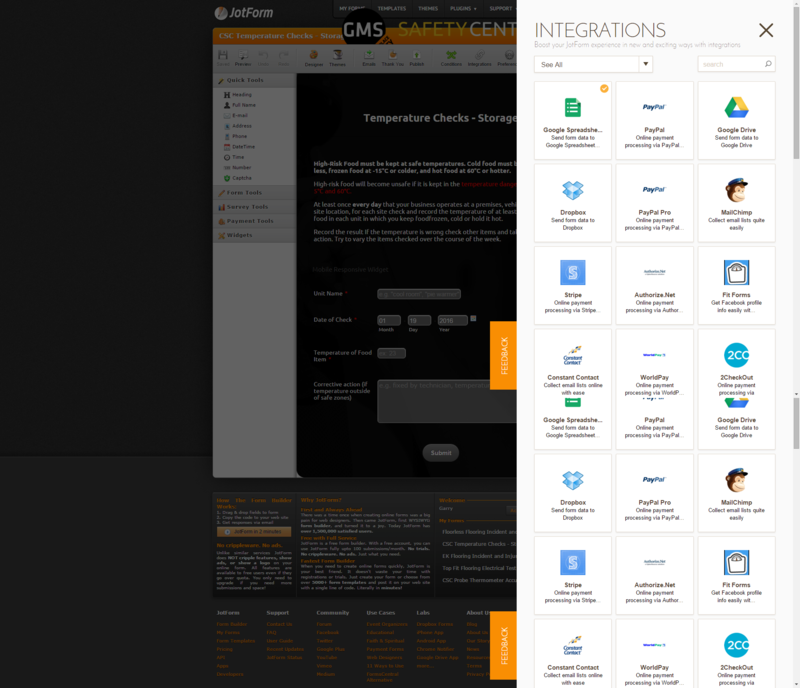 Thirdly, the new integration style doesn't allow for user named individual forms. As i'm sure you can imagine, these issues combined to create a major problem. My existing forms follow a uniform storage structure that use user named forms and user named sub-folders. With the new changes, I can't edit existing forms without breaking the established integration and it's also impossible to set up new forms using the structure that i had been implementing. While I appreciate that changes are required and that as a result i'll have to adapt my process, but it is imperative that the user-name sub-folder integration issue is resolved or a work around is found as soon as possible. I understand how to manually add a sub-folder and that the new integration style is supposed to allow for that. 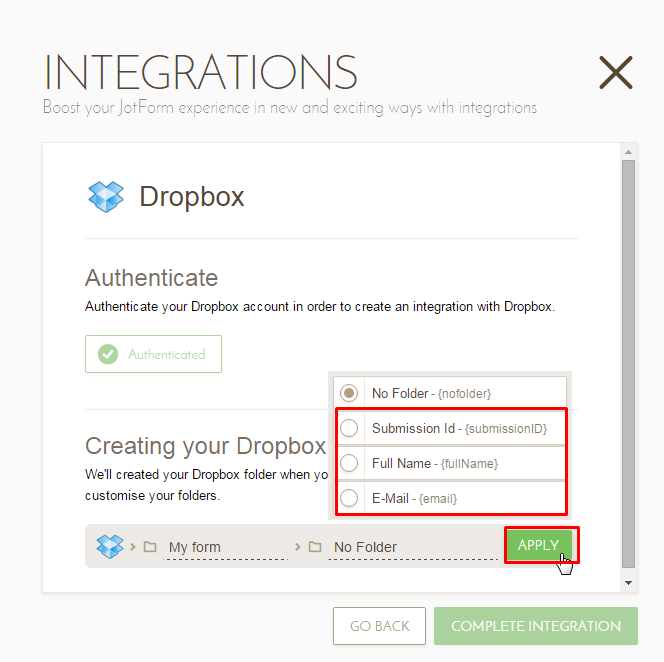 The issue isn't a failure to complete integration, the issue is that after integration, sub-folder connections aren't successful. New sub-folders aren't created and completed forms will not deposit into the existing sub-folders. As you can see, the integration is not working. The designated sub-folder remains empty. This is a critical issue, i've checked the forum and there are several people with similar issues that aren't being addressed. Essentially i need to know whether or not you're aware of the problem, if there is a fix available or if one is being developed. Thank you for providing us with details and screenshot. I was able to reproduce the issue as well. 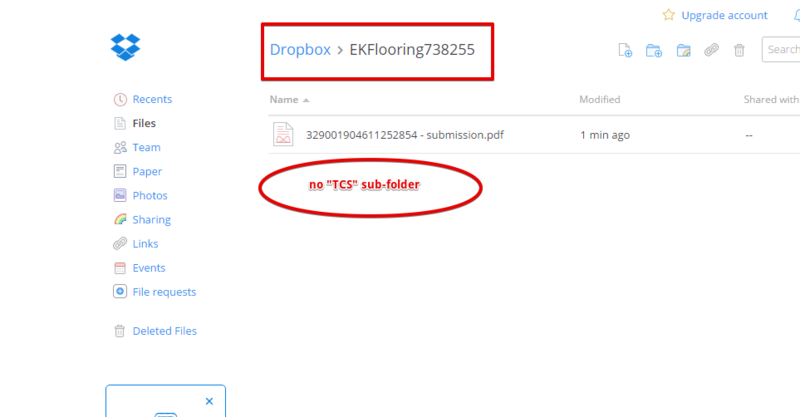 Manually created Sub-Folder (none existing field name) in the Dropbox integration is not working. but the manually created sub-folder was not created on the Dropbox. Using existing field as folder name work though. So, you may want to try using an existing folder field for now. I have submitted a bug ticket report to our higher team support regarding the failing custom sub-folder in the Dropbox integration. 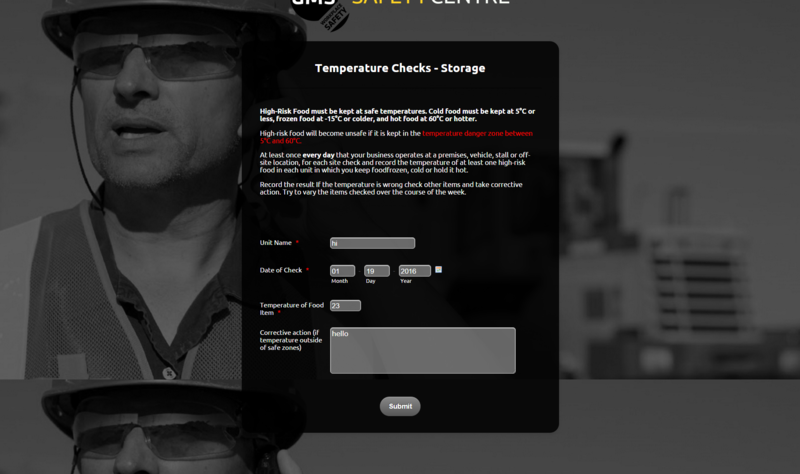 We will notify you here for any fix and update on the status. Is there any way to alter the naming conventions of the individual submissions. It was possible with the old integration, but doesn't seem to be under the new one. Also, is there an ETA on this ticket or even for average ticket responses. I may have to look at finding an alternative solution if i can't get a work a round or an idea on when a fix might be available. Unfortunately it is not possible to give you an ETA for this ticket as it depends on the complexity of the situation and on the workload of the developer. For now the ticket was still not assigned to a developer, probably later today. The problem is fixed now. Could you please try again? Just ran through a few test runs on some forms. The problem is solved, sub-folder and manually named sub-folders now work as intended. There is a minor issue in that existing integration do not work, though i found a work around in simply removing the integration and starting fresh, which solved the issue and results were added successfully. In the name of our developer, you are most welcome. If we come to the last issue which you mentioned on your last post, it was occurring from the authentication when you try to edit your previous integration. So, the workaround you found was correct to beat this problem; but according to my last checks, the integration is starting to ask authentication when you try to edit current one. 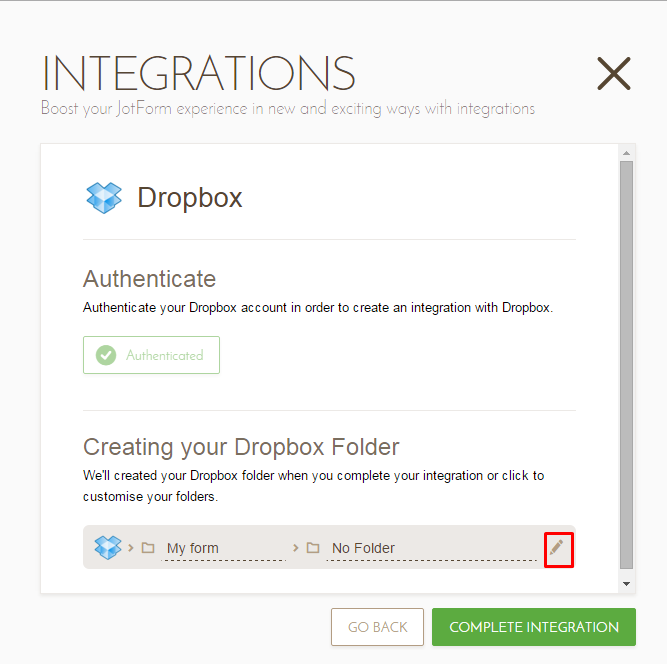 With that little change on integration, you don't need to remove and re-create it again anymore. For further assistance, we are always here to help.